DOOM’s Vulkan update is now live, which should give large performance gains over the original OpenGL version of the game. With AMD promising 20+% performance gains on their RX 480 GPU. Bethesda has worked with both AMD and Nvidia order to provide this update since March, working to provide the Vulkan API update to the game. This update will provide high framerate then OpenGL. The developer recommends everyone to use the latest GPU drivers from both AMD and NVIDIA to get the best experience. To run DOOM in Vulkan API, you will need to enter the advanced game settings and then select the Vulkan API from the API options menu. The game will need to restart when you switch from the OpenGL API to Vulkan and vice versa. AMD provide some performance numbers from their internal testing of the Vulkan API, showcasing a 20%+ performance benefit for AMD’s RX 480. At id Software, we’ve always pushed technology. With DOOM we let the game drive the technology decisions from early on. This has continued even in post-release, with new updates and more. Today we’re excited to share another big technology push: Vulkan support is now live on PC. When we were looking to adopt Vulkan for DOOM, the main question we asked ourselves was: “What’s the gamer benefit?” Ultimately the biggest benefit will be high framerates. There are a number of game-focused reasons super-high framerates matter, but primarily its movement and player feel. The game just feels amazing running that fast, so we made it a priority to try to really exploit the available hardware on PC. We also anticipate some older GPUs will now be able to play the game at good framerates. We hope the range of GPU support widens with additional game and driver updates. That said, this is the first time a triple-A game is releasing on a brand-new API and brand-new drivers so there may be a few bumps, but our testing is showing really great performance and stability. Vulkan is a cutting-edge next-generation graphics and compute API from the Khronos Group. Vulkan allows very low-level access to the hardware and moves most of the driver overhead into the developers’ hands. 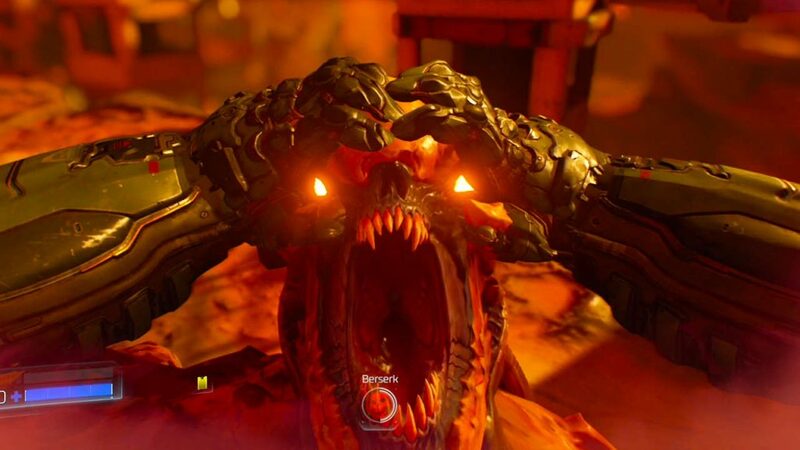 For PC gamers Vulkan will bring speed and features to DOOM, which is a big upside. Since late March 2016 we started working daily with both AMD and NVIDIA. Both have been great partner companies, helping bring full DOOM and Vulkan driver support live to the community. There was a lot of work on all fronts but we are pleased with the results.